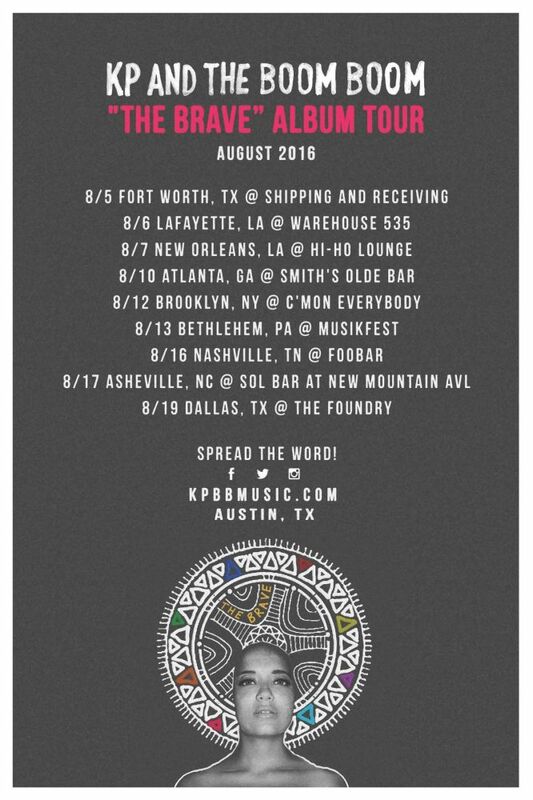 August Album Tour Dates Announced | KP and the BOOM BOOM | "Our music is about positivity, it’s about having a good time"
9 dates, 7 states, 6 mates, and 2 cars filled with a whole lotta love and gear in the rear. “The Brave” Album Tour kicks off on AUGUST 5TH! Tell you friends to come check us out! !